Bea's bedroom is the smallest room in our house - only 10ft x 10ft. Space and storage have always been an issue. Mostly because kids just have SO MUCH STUFF! And it seems to be 10 times worse with a girl. 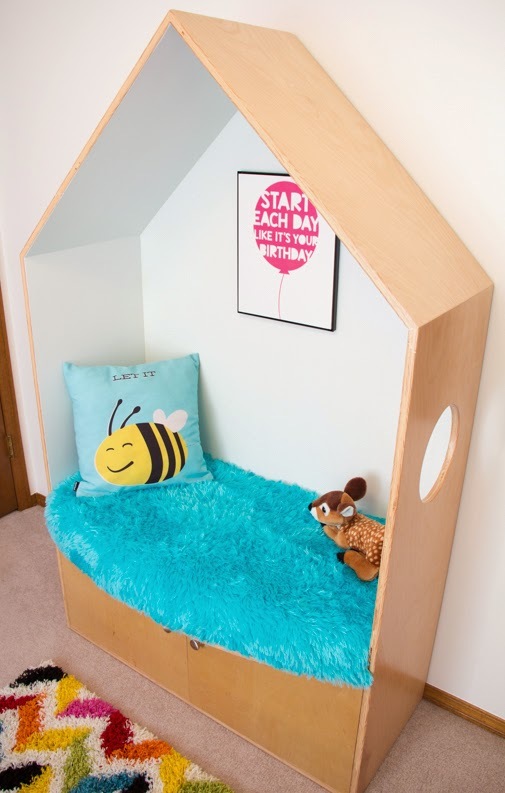 So, when we started to redecorate her room this winter, I wanted to make her tiny room feel big and airy. But at the same time, I wanted her to have a fun place to "hang out." She's getting to that age where she likes to be alone occasionally - to read or play on the iPad or listen to music. 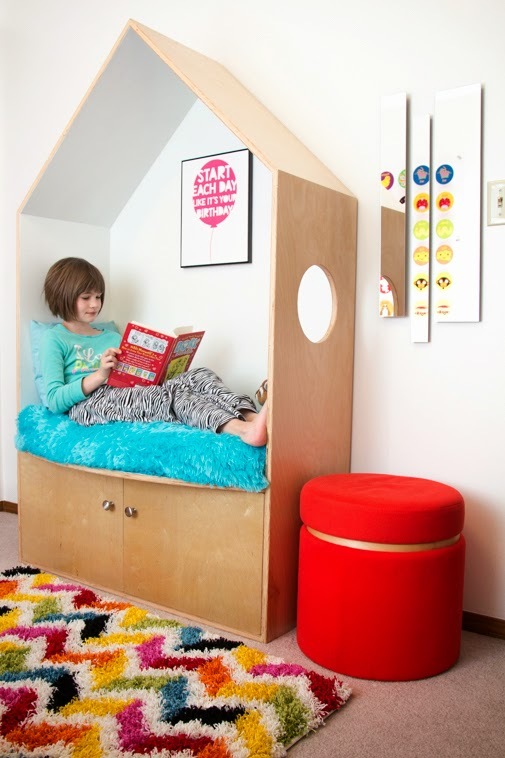 The perfect solution: a nifty little nook. 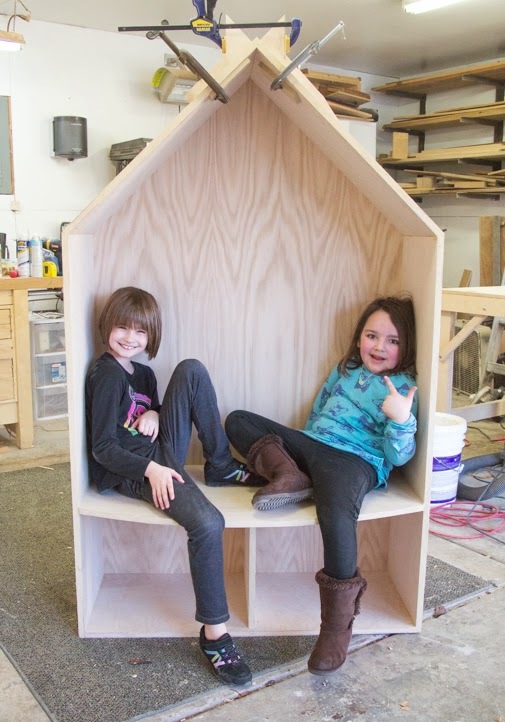 Eric built this fun, house-shaped hideout with a few sheets of birch plywood. It matches the platform bed that he built for her almost 6 years ago. There's lots of storage underneath for her growing collections of "stuff." And somehow, I even managed to sew a blue, furry seat cushion. I have just enough knowledge of a needle & thread (plus, I watched every episode of Trading Spaces on HGTV from 2000 - 2008), to attempt sewing one. It turned out amazingly well. Just don't flip it over and look at my crooked seams. Bea loves her comfy, new bedroom hangout. I especially like the little peek-through hole that Eric made on the right side. It allows me to check in, without disturbing her. I thought about hanging a mini chandelier light from the peak inside, but I haven't been able to find one that's corded and can be plugged in to the wall. Let me know if such a think exists. 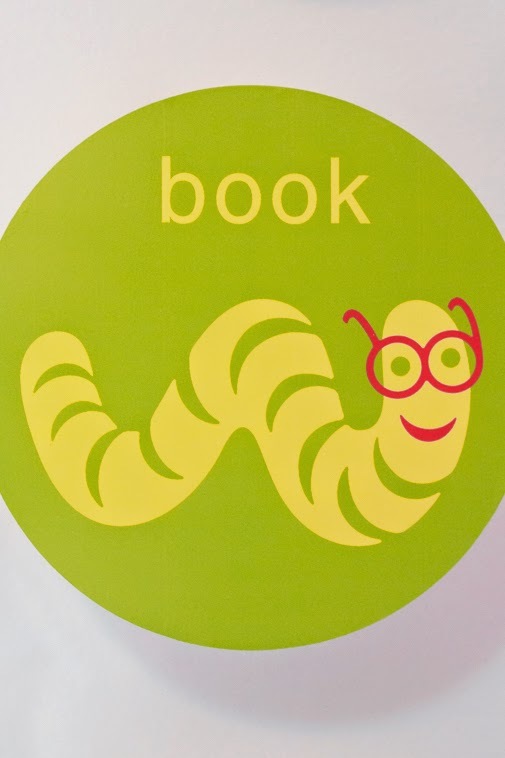 A Jane Jenni wall decal in Bea's room. She's certainly our little book worm. 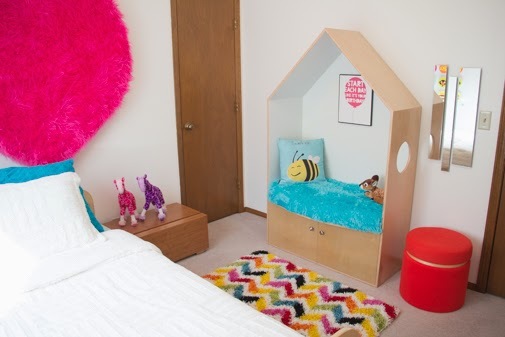 We accessorized with her bee pillow, stuffed dear and a sweet little framed sign. 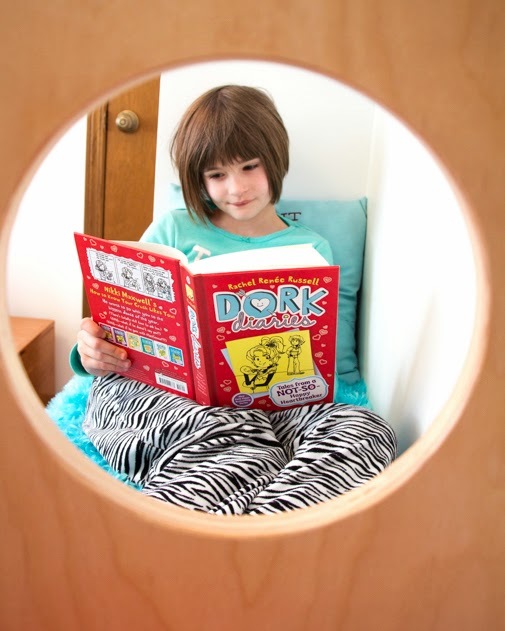 Bea and her friend, Morgan, testing out the reading nook while it was being built.